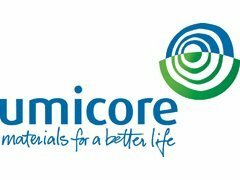 Umicore, formerly known as Union Minière du Haut Katanga, is a Belgian materials technology group. The company is active in four business areas: Advanced Materials, Precious Metals Products and Catalysts, Precious Metals Services and Zinc Specialties. Umicore has a great record of increasing their dividend, with a pause during the 2008/09 recession the dividend has resumed its upward trajectory and is projected to continue on this path. Note: Share Split 5:1 February 29th, 2008. Dividends before this date have been adjusted.